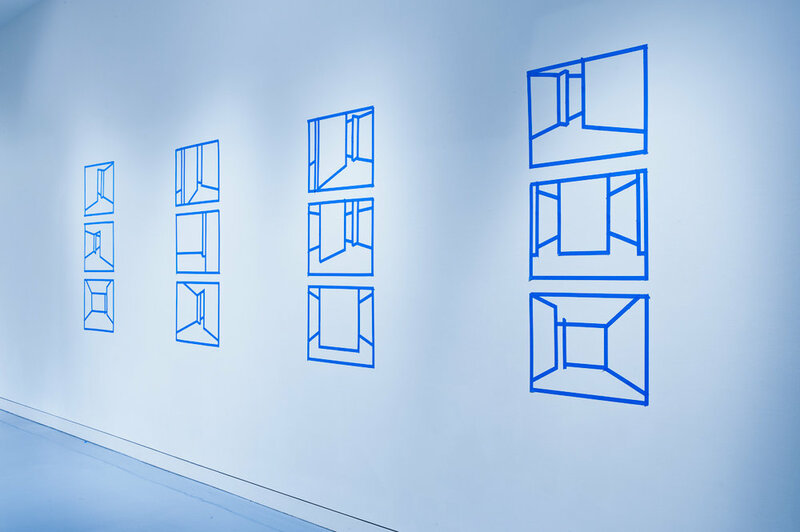 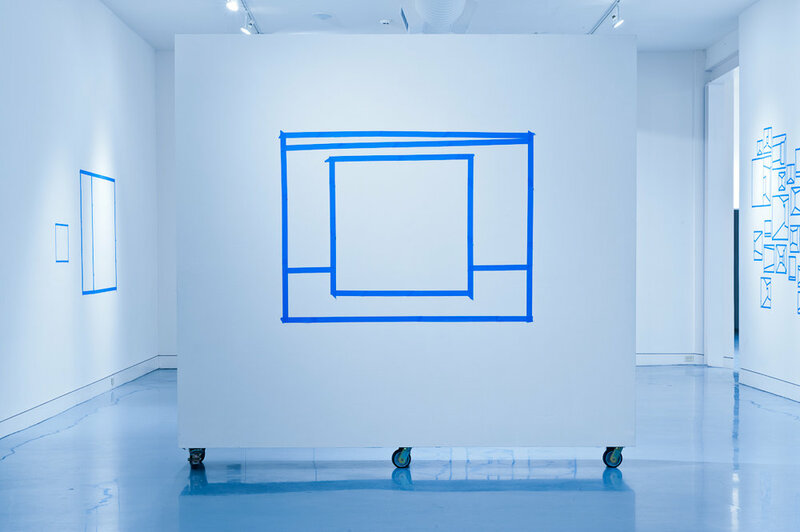 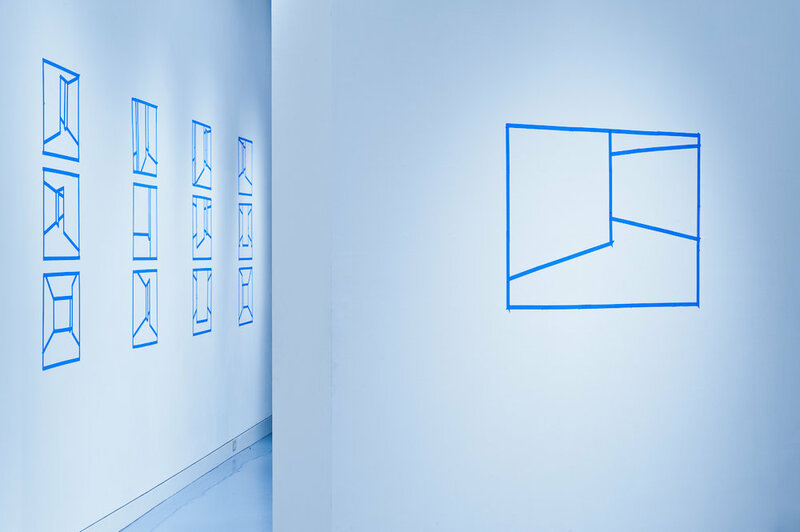 A series of nine photographs documenting an installation constructed using blue painter's tape. 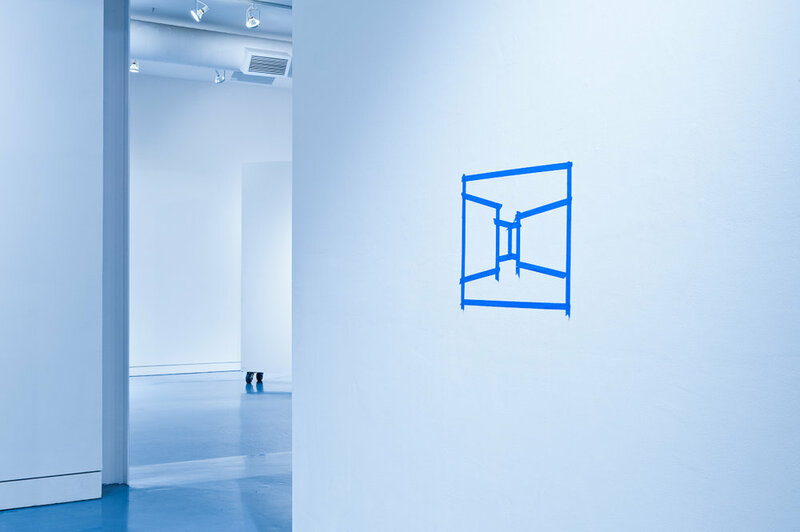 The constructions delineated only the architectural elements from a collection of “Installation View” photographs appropriated from artist and gallery websites. 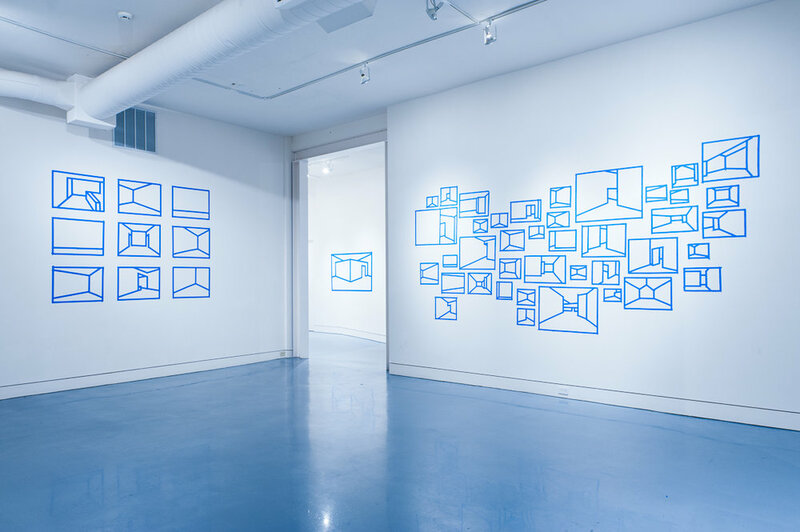 The series was posted online via the host gallery’s past exhibition archive. 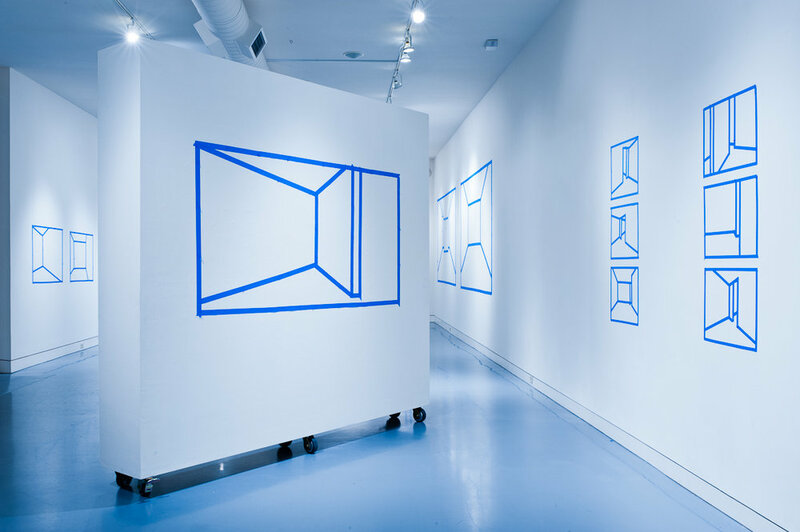 The photographs were not printed and the physical installation was never publicly viewable.